Restore balance & well-being in every area of your life. Classroom and content go live in March 2019, so when you register, the class will be added to your Personal Learning Portal account. 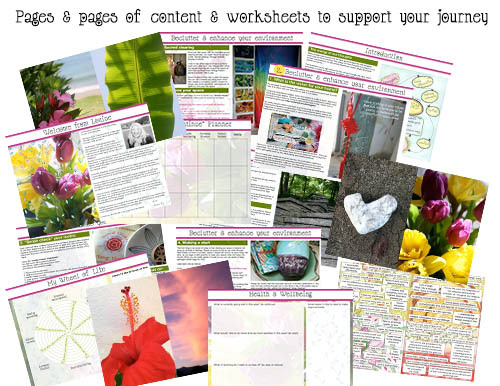 Why is it important to clear mental & physical clutter? So what are the key benefits to clearing some space and why do we need to do so? One of the biggest problems associated with mental and physical clutter is how it keeps us stuck in a home or level of thought that leaves us little or no room for growth. Like a plant in a pot that is too small for it’s roots, we outgrow our own pot. This is when we begin to see our relationships suffer, business opportunities dry up, health and energy lowering, and finances becoming tighter. Decluttering, simplifying and clearing space helps to remove mental and physical blockages from our lives that stops all the positive energy to flow freely around us. Positive energy is what promotes success. Energy is everywhere.The human body and everything around us is an energy system resonating at different vibrational energy levels throughout the day. 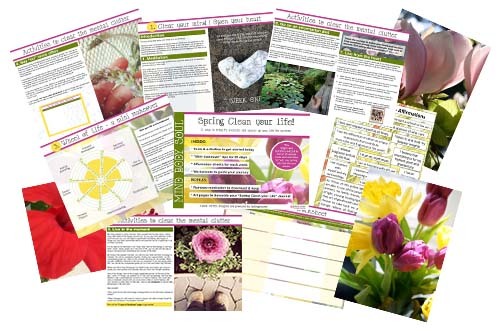 WITH CLEAR SPACE YOU HAVE…. 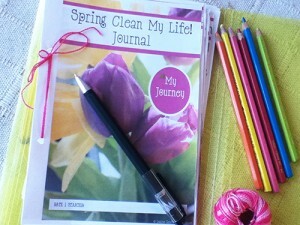 You can create your own “Spring Clean Your Life” Journal with all the worksheets and journal pages to track your “Spring Cleaning” journey. Mini makeover activities for 21 days.